For Martin and HBO, the answer seems to lie in the further exploitation of this same fantasy universe. 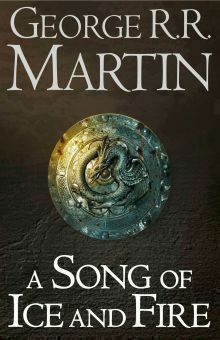 Martin just began publishing a prequel series, I believe, while HBO and fans alike have been tossing around similar ideas. Myself, I don’t intend to ask what other GoT-related property might they pursue. I ask what else coul they feasibly do? I figure even the best franchises can only be continually milked for so long. The clever man is always on the lookout for brand new ideas, rather than sticking with only the old ones. In that spirit, I ̶g̶l̶a̶n̶c̶e̶d̶ ̶t̶h̶r̶o̶u̶g̶h̶ ̶m̶y̶ ̶p̶e̶r̶s̶o̶n̶a̶l̶ ̶l̶i̶b̶r̶a̶r̶y̶ did copious research, and selected some titles, some novel series I have enjoyed, which could also be turned into an HBO series. Some are stronger candidates than others, of course, but if they were looking for inspiration, I don’t think they’d really have to look very far. Mind you, my experience with HBO is limited entirely to Game of Thrones, so I focused on stories of similar spirit and content. It’s not like I’m an expert, but, for what it’s worth, I imagine any of these could be their heirs, so to speak. A low fantasy (meaning: mostly realistic, with just a bit of magic stirred in here and there) epic that takes obvious inspiration from the French Revolution and the Napoleonic Wars, The Shadow Campaigns tells a rich, intriguing tale about the collision of armies, the struggle for liberty, the clashing of religions, and the rise of a terrible evil set on consuming all of humanity. It has fantastic discussions, endearing characters, gripping battles, and compelling themes. And, of course, some steamy content here and there. It’s also of an appropriate length and depth, across five books and a couple of novellas, that it could certainly be translated into about five seasons. It sounds pretty much perfect for HBO, I think, particularly considering how they’ve demonstrated capability with fantasy and period pieces, which this is a combination of. This one’s a little trickier, I think, than Shadow Campaigns. 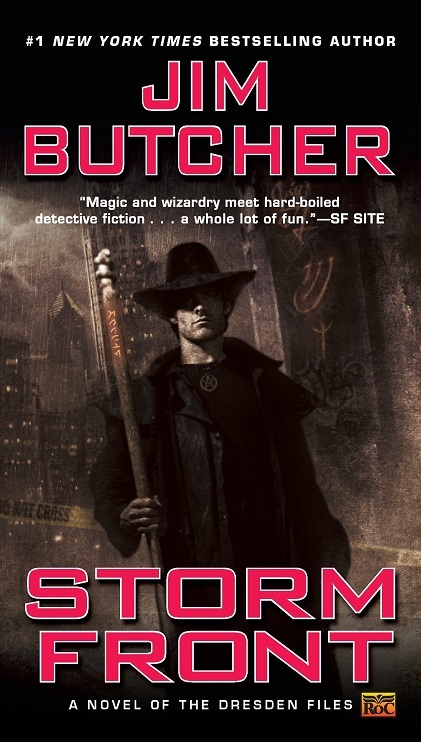 I’ve long been a fan of Jim Butcher’s urban fantasy series, following the modern-day adventures of the wizard Harry Dresden in Chicago as he battles the mystical forces of evil to protect the innocent, so of course I’ve envisioned it being brought to cinematic life. But, again, it’s tricky. There was a short-lived television series that didn’t nearly do it justice. I’m not sure movies would do any better. It definitely needs to be a series, though I’ve come to imagine that its best cinematic translation would be as an ongoing series of miniseries. A little creativity, though, and one can extend or shorten as necessary. With more epic confrontations, lovable heroes and frenemies, and strong, varying themes, an HBO series could cover a wide variety of ground with this one. Indeed, the biggest problem would actually be the longevity of the series. To cover everything in the books within a timely fashion would be a monumental work, but well worth it, I am certain. Much like other titles on this list, there would need to be some creative adaptation. It could also become a series of movies, but it feels like a near-perfect fit for HBO. Violence, humor, vast overarching plot, bit of steamy content here and there, not to mention the novels are appropriately long and easy to either divide or fill out to meet the appropriate runtime. The shifting spotlight, also, would make for an interesting twist from season to season. I would so watch this one! Speaking of period pieces and fantasy, how about an alternate history of the Napoleonic Wars, with dragons mixed in? 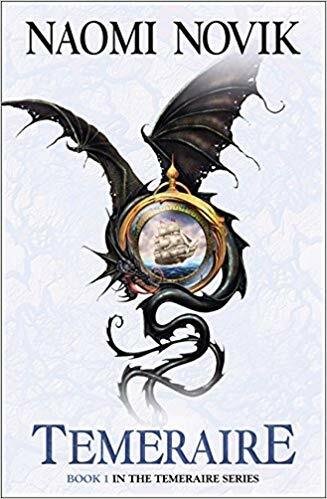 The story follows a navy captain named Lawrence after he unwittingly bonds with a newly-hatched dragon, whom he names Temeraire. Their extended journey, and years-long struggle against both the encroaching tyranny of Bonaparte and the prejudices of the day, takes them all around the world, exploring all manner of cultures even as it explores the principles of honor and morality in the midst of conflicts both great and small. There’s also the rich, rich texture of the world it’s set in. Mind you, it’s set in a world where the American Revolution failed, so I doubt the French Revolution would have ever occurred and thus Napoleon’s rise to power likely would never have happened either, but outside that historical detail, I can find very few faults with this idea. I mean, people imagine riding dragons into battle all the time, but there’s a fantastic realism to this particular story. The Temeraire series may well fit HBO better than it could ever fit the big screen. Not only for the content, but for the runtime. It’s a long series of fair-sized books, which do chronicle years of events. Too much, I think, for a movie series. There are a number of other potential shows I’ve considered, such as and dismissed for various reasons, mostly length and breadth. Such as Wearing the Cape, The First, Old Man’s War, and Please Don’t Tell My Parents I’m a Supervillain. What about you? 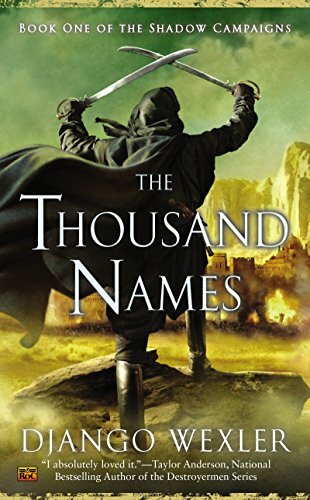 What are some novels you would like to see or think could work very well, to take up the slack after the end of Game of Thrones? This entry was posted in Discussion, Miscellaneous and tagged A Song of Ice and Fire, Django Wexler, Dresden Files, Game of Thrones, George R.R. 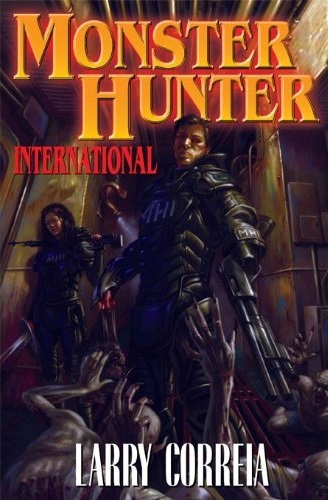 Martin, Jim Butcher, Larry Correia, Monster Hunters, Naomi Novik, Shadow Campaigns, Temeraire. Bookmark the permalink.